After playing a command card, announce which corresponding units will receive orders. Figures grouped together on the same hex form a battlefield unit. 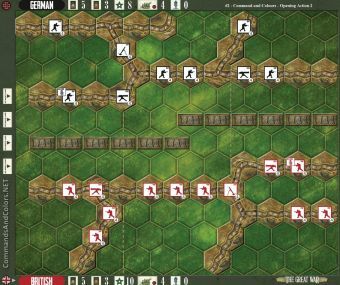 Only those units that are issued an order may move, battle, or take a special action during this turn. Only one order may be given to each unit during the course of a single game turn. 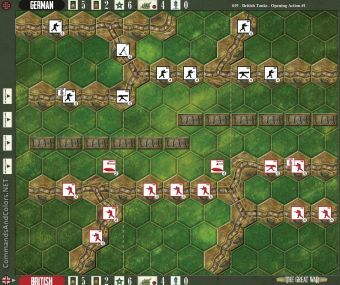 When a unit is on a hex with a dotted line, it may be ordered from either the flank or centre section card play. If a command card issues more orders in a given section of the battlefield than the number of units in that section, those additional orders are lost.